I'm just talking to myself. We do that sometimes, me and myself. 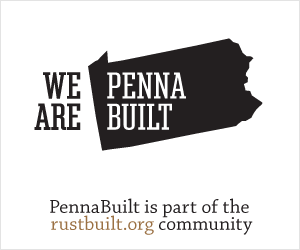 I blogged in the @ThePintester Movement! If you don’t know who The Pintester is (aka Sonja Foust) you are missing out. Go and read her blog, yes her entire blog, right now. I’ll wait. She started this crazy idea for everyone to be an honorary pintester and actually DO something that we’ve been saving for “someday” for too long. So here we are. You can read more about The Pintester Movement here, The Pintester Movement: Craft ALL The Things. I wasn’t sure what to do. In the spirit of The Pintester, I kind of wanted to do something that would go up in flames (I mean figuratively) and really give you guys a laugh. In actuality, we got literal flames (I mean literally). I’ve done pins that worked and that didn’t work, but didn’t get documentation. It was back to the drawing board. Originally, I was going to test the 7 Days To Skinny Jeans pin, but we were out of yogurt, didn’t have almond milk, and I decided that the idea of oatmeal in a smoothie didn’t appeal to me after all. Next, I thought I love wrap bracelets for summer, adore Chan Luu, but can’t afford Chan Luu, so I’ll do a wrap bracelet. This one, in particular. But I got about this far before I realized that the instructions tell you to make sure your thread goes through your beads TWICE for a reason. This was soon abandoned. So I moved along to this one, which was still a kitschy-crafty, bracelet-y thing. I assembled the necessary materials (minus a needle, didn’t think this was THAT necessary) and was happy to note that no beads were required. I substituted whatever hemp-like cord I had for the “Chinese knotting cord” that was called for. Hey, The Pintester does this all the time; I was just following her school of thought. I decided to use these pendant disks that I’ve had for ages. The one I picked said “Harmony” because after the first failed attempt at a bracelet, I needed more of that. And it started out pretty smoothly. In all my art classes and jewelry making ventures in the past, I’ve never learned the art of “macrame,” so I made up a fun song to remember which thread was going over, which was going under, and which one I was supposed to use. It got a little wonky toward the end of the strand; I think I was so engrossed in my song that I forgot to remember which side of the thread I was supposed to be working. Or to count knots so both side would be the same. That’s okay, it’s handmade; it isn’t supposed to be perfect. I finished the other side with less wonkiness. Got a little confused on the instructions for the sliding closure, but it was just using a piece of scrap cord to make a few more macrame “stitches” to hold both sides together. Why the directions couldn’t have said that up front is beyond me. The instructions also said to weave the loose ends into the bracelet, for extra security, using a pair of pliers to pull the needle through the cord. I passed on that part. I’m not saying I’m not graceful, but if there is the possibility of breaking, stabbing, maiming, or otherwise harming myself, there’s a good chance it’ll happen. The instructions also said to seal the ends with a flame. I think the rational part of my brain was still laughing from the suggestion of using pliers to pull a large needle through the cord to tell the part of my brain that thought, “Well, I didn’t sew up the ends, so sure, let’s ignite,” that it really wasn’t a brilliant idea. Here’s where the literal flames come in. Sorry, no picture of that. I decided that Gorilla Glue was just as good; I’ve used Gorilla Glue and staples to hold sandals together, just the glue will be fine for this. So there you have it. 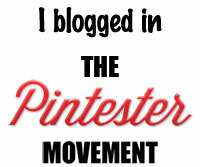 I blogged in The Pintester Movement. Not a “crash and burn” fail, but not a soaring success either. I proclaim this pin do-able, with attention to fire retardant-ness. Categories: Random Escapades | Tags: bracelets, chan luu, diy, jewelry making, macrame, pinterest, pintester | Permalink. Coffee addict, Post-It aficionado, Sharpie fanatic. I live and work in Pittsburgh, pin lots of recipes I'll never make, and I love the Oxford comma. Sometimes I write about advertising, other times I write about general life happenings; no matter what, I always try to entertain. Ladies and gentlemen, we have FLAMES. 🙂 Thanks for participating and lighting things on fire for the cause. And I love the bracelet– it’s totes adorbs. Nice job. I don’t have the patience for weaving…but then I play with metal rings and it doesn’t bother me. Thank you! Secretly I’m glad the first bracelet didn’t work out because I wouldn’t have had the patience for that. It looks fantastic on you, and quite professional. Should Your Business Use Tumblr?